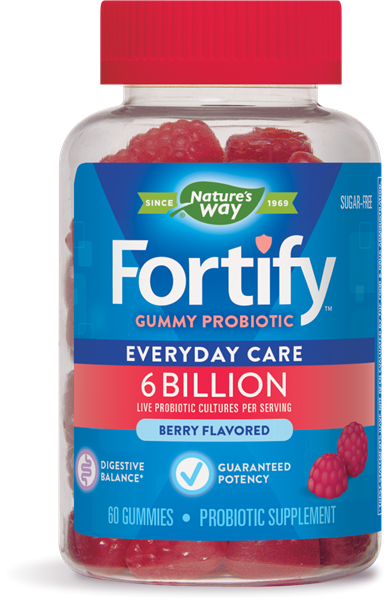 Fortify™ Gummy - Nature's Way®. Potency GUARANTEE: The 6 billion potency of this product is guaranteed until expiration when stored under recommended conditions. Chew 2 gummies daily. May be taken at any time, with or without food. If taking any medications, consult a healthcare professional before use.